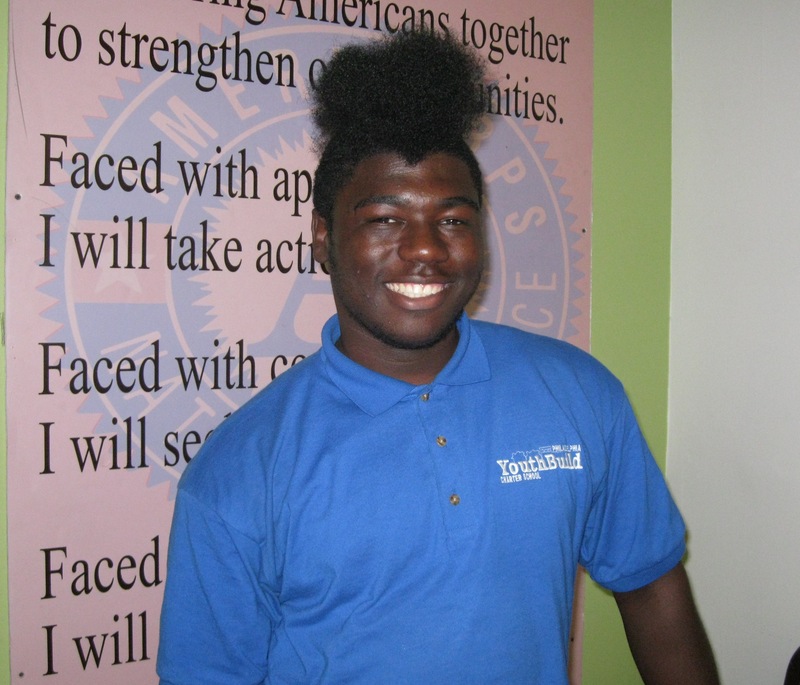 Tahir, age 19, is a new student at YouthBuild Philadelphia Charter School. Over the next 12-15 months, Tahir and 213 other former high school dropouts will work toward their diplomas, vocational certification, college and careers. Tahir shares his personal story with us. Why did you drop-out of school? Bullying and all its effects. I was robbed, jumped, beat up and teased often. I didn’t want to go to school. At one point, I didn’t want to go outside. I didn’t want to be around anyone my age. I became reclusive. So, why did you come to YouthBuild? I got tired of sitting idly at home and not doing anything. I want to start working and I can’t do that without education and knowledge. My mom told me about YouthBuild, so I came to orientation, and I was excited about the opportunity to learn a trade. How has the experience been so far? Unbelievable. The energy here is noteworthy. It’s not something you will get in most places. I’ve never seen a learning environment where there’s this kind of relationship between teachers and students. A lot of people get individual attention, but there’s not favoritism. If all the schools adopted YouthBuild’s culture, kids would want to go to school and we wouldn’t have so many dropouts. How many schools do you know where staff give high fives in the morning? Not many. What are you most looking forward to this year? Graduation. I want to walk across that stage and get my diploma. At one point, I never thought I would have that opportunity. Now I’m planning to go to college. I never even thought about going to college, until the first week at YouthBuild when we visited Community College of Philadelphia (CCP). I never thought I would be able to go to college, pay for college, or get a scholarship. Now, I have the opportunity to get my AmeriCorps education award to pay for school. What do you plan to do with that AmeriCorps education award after YouthBuild? My trade at YouthBuild is design and woodworking. I want to continue in that field by attending CCP for architecture, and then transfer to a 4-year school. I want to be as prepared as possible to start my career, and I know I need a higher degree to get the kind of job that I want. And you created this plan in your first month at YouthBuild? Yes. I’ve always wanted to be an architect, but I didn’t know the steps to get there. Now I do. 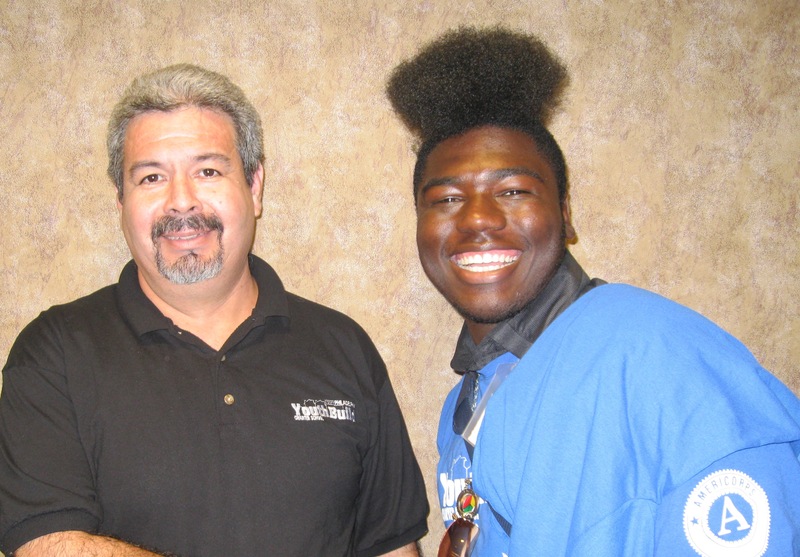 Previous Post VIDEO: New students join the YouthBuild family! Next Post Does your company give through United Way?